This year we give a shout out to "Old Kinderhook" aka "Martin Van Ruin", aka Martin Van Buren, spiritual founder of the Democrat Party. Van Buren was the 8th President and also the 8th Vice President, and 10th Secretary of State (so much for the Lucky 8's). 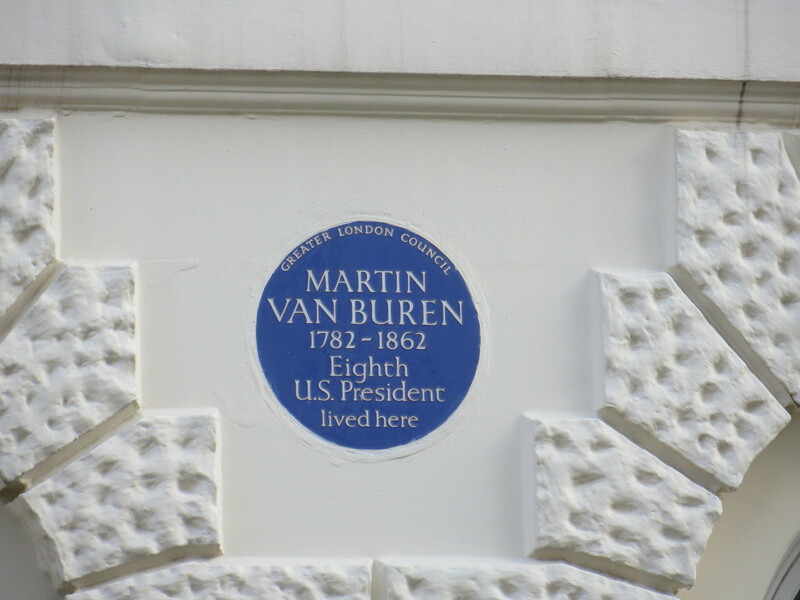 He served as Minister to the United Kingdom (the picture here is the plaque on his London residence). His campaign nickname, "Old Kinderhook" was said (primarily by etymologist Allen Walker Read) a possible origin of OK (aka okay, ok?). And so, well, Martin, you're ok by me.